One of the key things that the Festival does is to open up the history of Lambeth’s people and places and to make them relevant and interesting for residents and visitors. Preserving our heritage and using it to help connect local people with the opportunities and challenges in Lambeth today is something that I am passionate about and so I am really excited that once again Lambeth Archives has worked with the Lambeth Local History Forum to put together such a rich and innovative programme with the help of the Walcot Foundation. 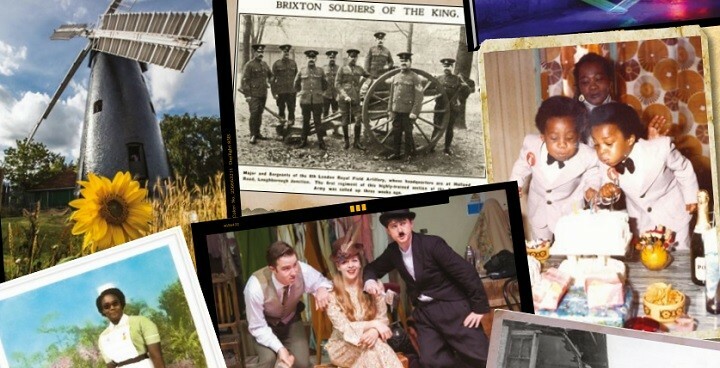 This year there are talks, films, music, theatre, exhibitions, walks and workshops covering a whole spread of interests and from just about every geographical perspective: everything from William Blake’s Lambeth to the Front Line. Don’t miss the Lambeth Local History Fair at St Leonard’s church, Streatham on Saturday 2nd September. You can help celebrate Brockwell Lido’s 80th birthday, visit Brixton’s Chocolate Museum or have your say at Brixton’s Digital Soap Box. Alternatively, you can discover Lambeth’s two newest heritage attractions – the London Fire Brigade Museum and the Migration Museum – or learn how to write Wikipedia local history pages.